Our Full Interior Design Package is ideal for busy professionals who want to renovate their home but have very limited time to do so. 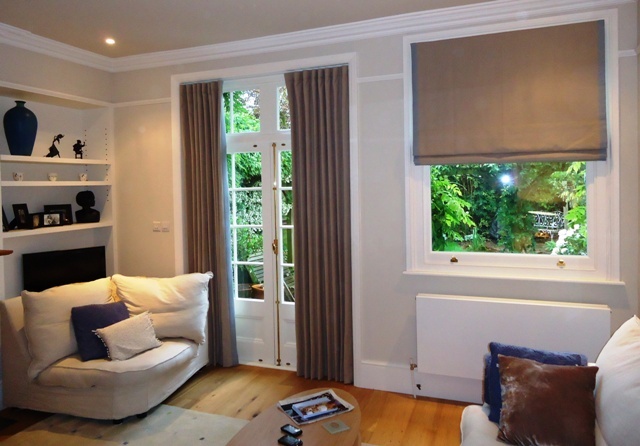 As your appointed Interior Designer, I take charge of all aspects of your project whether we are decorating a room only or undertaking a full property renovation. The first thing we do is take a full project brief to establish what your needs an priorities are. After that, we conduct a room survey and start on initial concepts, lighting plan, furniture layout and sample boards. We always plan a schedule of works to give you an idea of time and budget to approve before works start. This schedule includes trades, an inventory of purchases and a full breakdown of cost. We will also keep you informed of how we are doing against your budget whilst works are in progress. The price for this service is based on the size and scale of the project. Our clients expect to pay a fixed fee of approximately £695 per room (£3,250 for an average 3-Bedroom Property) for the initial design concept and 3D Plans although this varies according to the needs of each client. Additional items such as furniture & fixtures and the project management are charged separately. With this package you don’t have to worry about a thing. I’ll take care of everything for you including your deliveries. This is most suitable for those who need Interior Design Advice but are keen to implement the scheme themselves. Similarly to the Full Interior Design Package, I will take a full client brief followed by a measured survey of the area to be refurbished which will enable me to produce scaled floor plans, furniture layout, elevations, etc. In addition to that, I provide mood boards illustrating all the elements of your interiors i.e. fabrics, furniture, flooring materials, light fittings, accessories and all the details you need to implement the design yourself. This package is aimed at clients with rental homes and/or homeowners trying to capture a better sell for their property. As your home stylist, I will personally review your property room by room and take you through key areas that I feel are in need of urgent attention or vital for a quick sale. I will advise you on what you should to do and how to stage your property. This service is particularly important for those who need to sell quickly and is charged at £445 for the day. After the initial consultation you can implement the recommendations yourself or leave it to me at a cost of £65 per hour. I can plan a schedule of works to give you an idea of time and budget to approve before works start. This would include trades, a full inventory of purchases and our fees. We will also keep you informed of how we are doing against your budget whilst works are in progress. For more information or to book an appointment, please call us on 07788 275451 or email me on studio@paulatrovalusci.co.uk.